12" x 12" 12" x 24" 18" x 24" 24" x 24" 24" x 36" 24" x 48"
Artwork should be set actual size at 200 DPI. Please make sure the text is not too close to the edge of the magnet. Do not create thin borders on the edge of the magnet this can be cut off at time of print process any borders by the edge should be at least .25" thick to maintain the design quality and production. 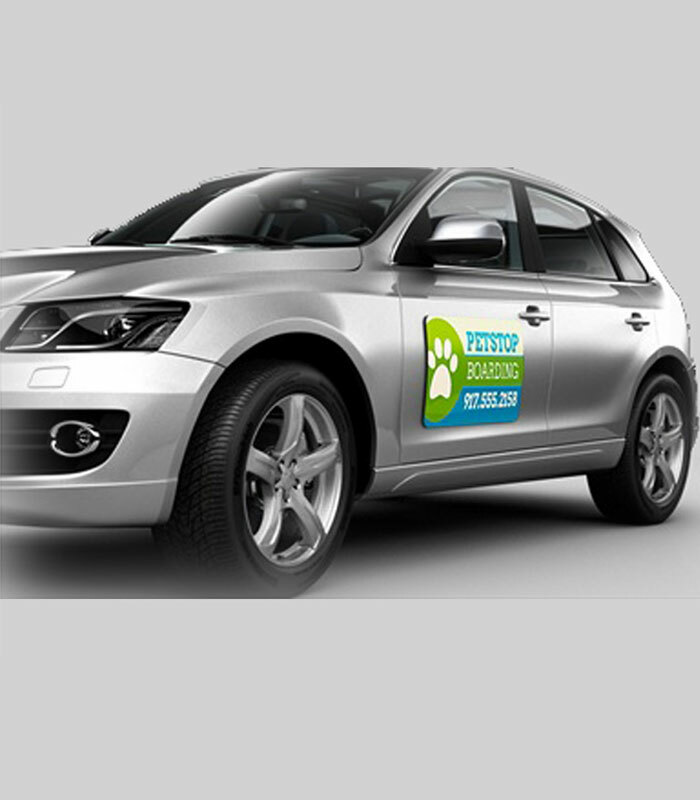 The real solution for temporary advertising on Cars, Trucks, Buses, Magnetic Truck Signs, Magnetic Vehicle Signs are used for front door placement of logo and company information which can be reused hundreds of times without ruining the paint of the vehicle. Magnetic signs can be used on metal doors, refrigerators, and everywhere where the magnet can be accepted, a good simple solution on signs that needs to be frequently changed. This services known as Large Magnet printing Services. Advertising is the backbone for the success of any business. Especially in today’s time when the competition has skyrocketed, creating effective awareness of a business has become even more important. There are many advertising channels available today, some are expansive and some are affordable. Conventional radio and newspaper print ads are most common, but the prices of these channels are out of the reach of small business owners at the time. So how does a small business entrepreneur expand their customer base in the local area, without putting undue pressure on their wallet? 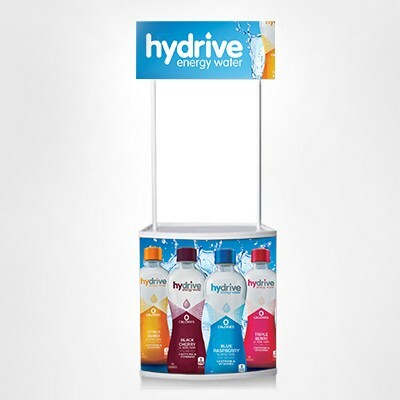 There are quite a few options for local advertising, one of which is magnetic signs, which is effective, with high local exposure and less expansive. Advertising: The magnetic car signs will give maximum exposure while simply driving and finishing off the task for the day. They are relatively inexpensive as compared to other options. 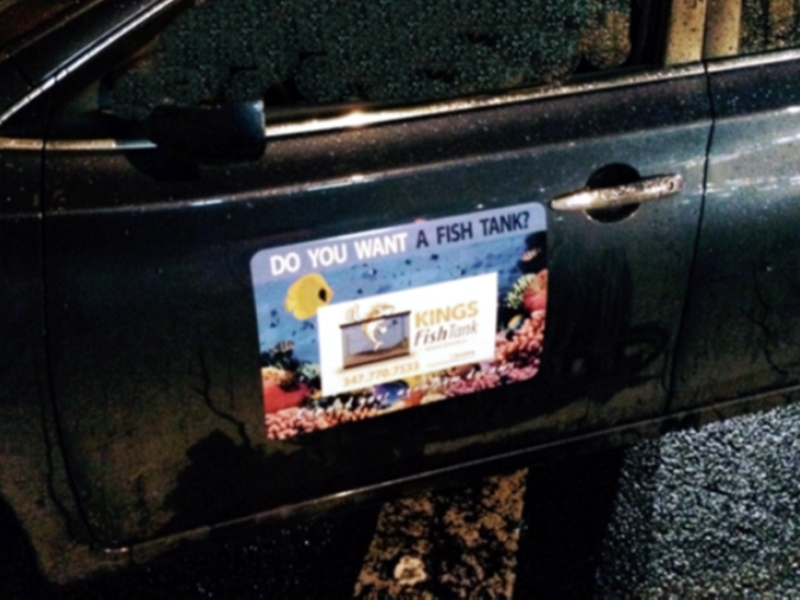 So turn your vehicle into a moving billboard and advertise your business to your potential customers. Simply order to print your own custom magnet, stick them, peel them off, and reuse them several times. 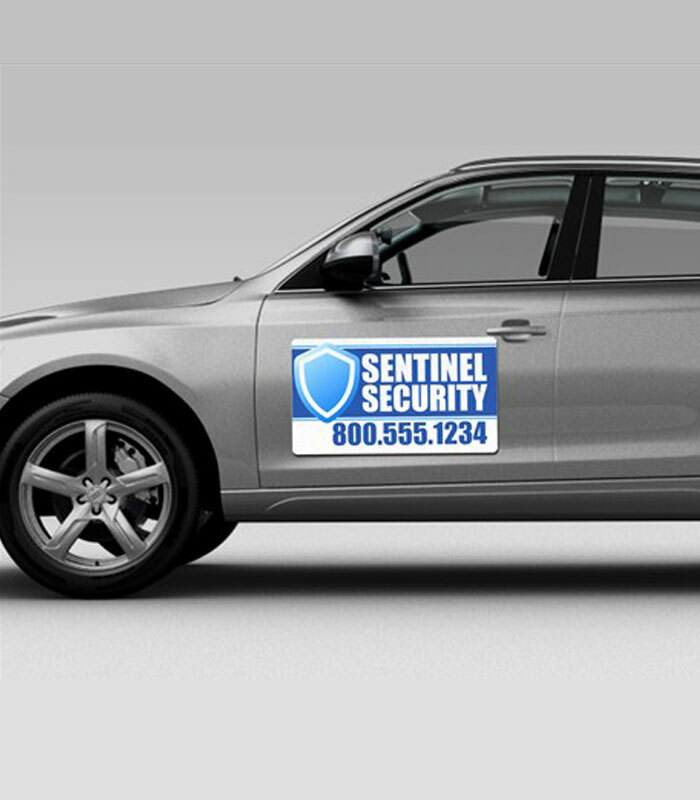 Our custom vehicle magnet signs are long-lasting, durable and the perfect choice for removable advertising and promotion on business or personal vehicles. Announcement| Fundraiser: Say what you want to say. Say it to everybody in your community. Get your message out – Make a statement, support a cause, call for a fundraiser or simply say you’re a student driver :). Use them for anything you want people to know. Magnetic vehicle signs for car or trucks can be ordered by uploading your custom personalized message or artwork at our website. 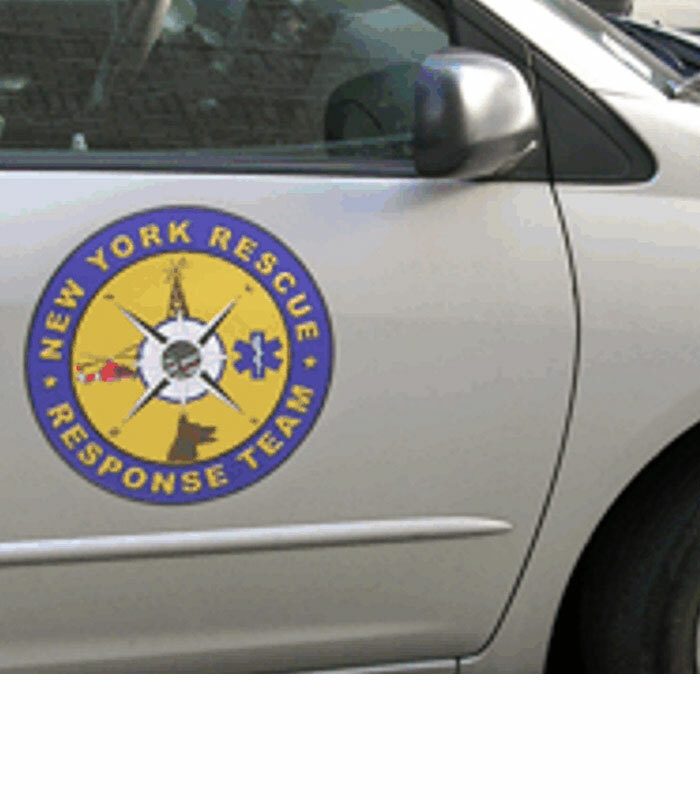 Megaformat.net’s custom magnetic signs are a real deal for temporary advertising on cars, trucks, and buses. Magnetic vehicle signs are mostly used on front doors, but hey! You can place it anywhere you like on your vehicle. 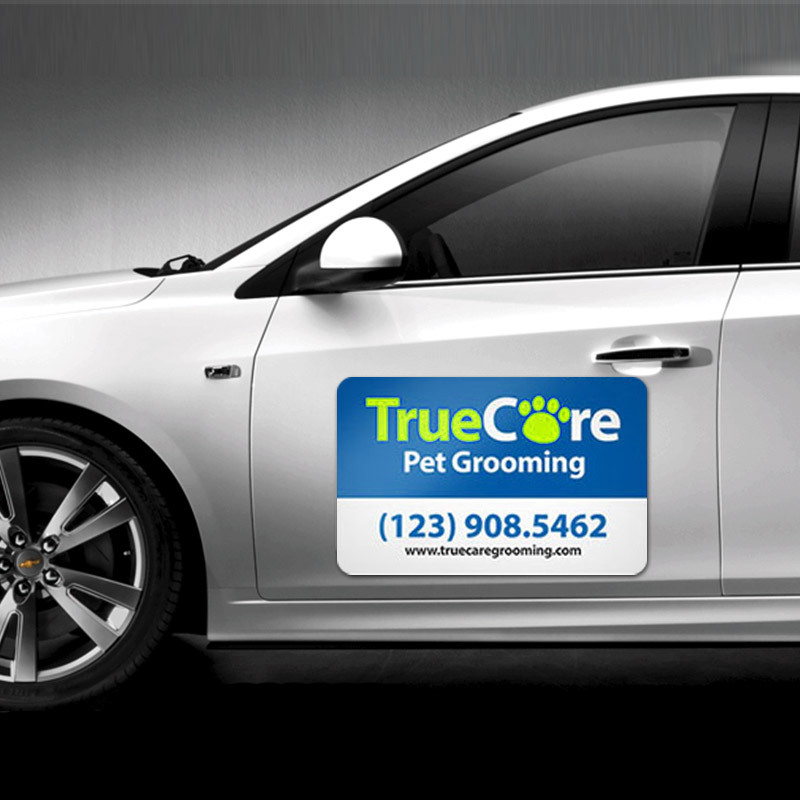 A typical magnetic vehicle signs format contains, your logo, service offered, and sale slogan with your contact information. Good thing is that it can be reused many times without ruining the paint of the vehicle. Mega format Inc. uses high-quality magnets that hold up even when the vehicle is in motion on smooth or rough terrains. 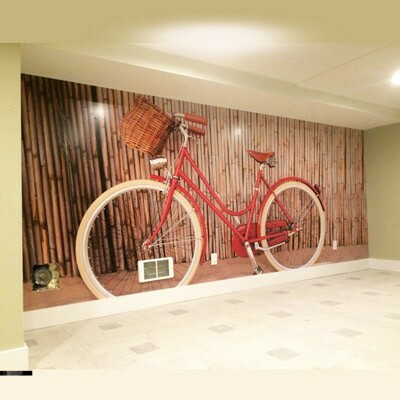 To order simply upload your artwork, containing your logo, short service message, and your contact information and we’ll print it to perfection. All our signs are simple and lay flat across the door or on the back of the car. 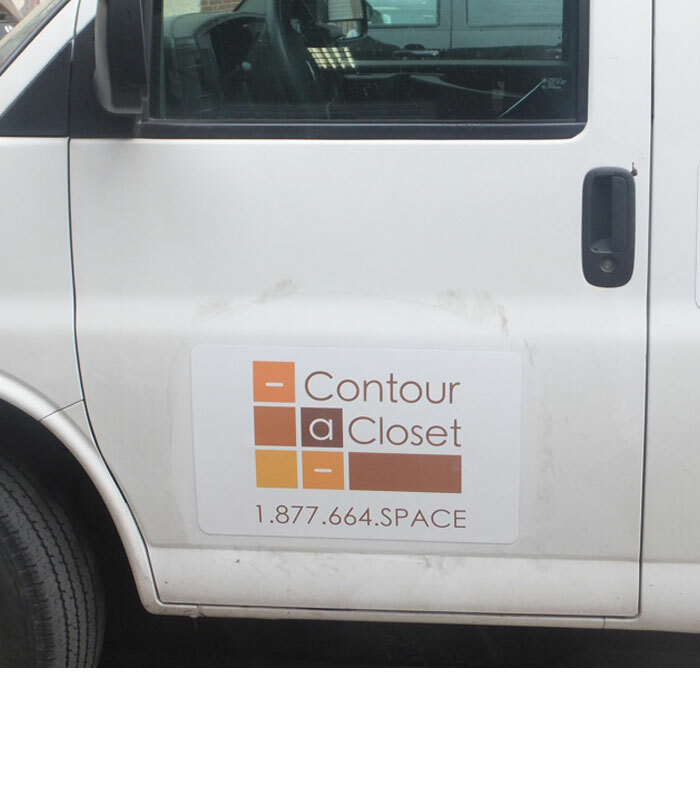 The mega format also specializes in large magnet printing, ideally used for advertising on truck and vans. 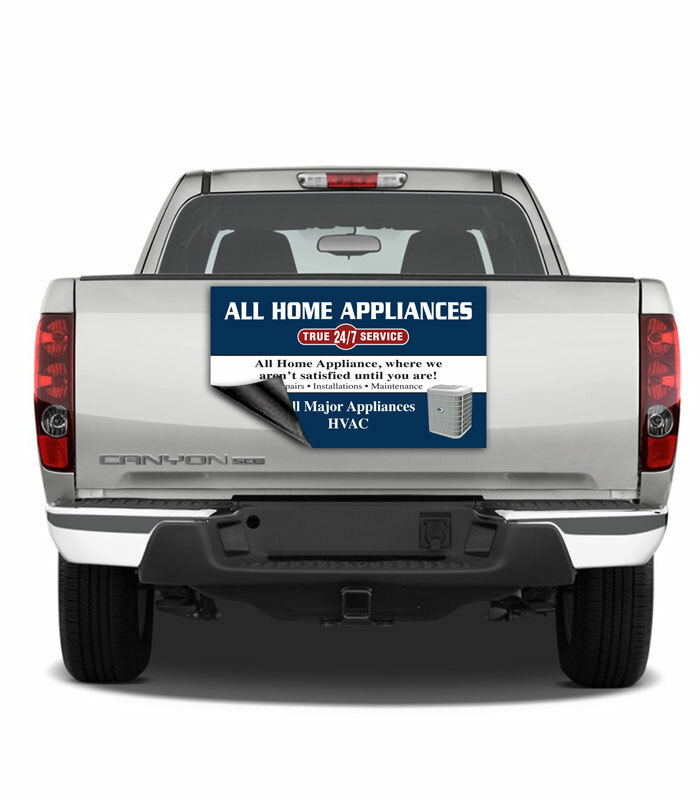 Additional advertising: You may be using other forms of advertising and magnetic truck signs can act as an additional advertising by refreshing brand recognition, whenever it is on the road or parked on the street. Durability | No damage: If you use magnetic truck signs, you can forget about paint damage. Simply clean the surface of the car before applying the magnet and that will ensure no damage to vehicle paint or magnet. The sign can also be removed and reused as many times as you want, a magnet does not go bad, therefore it is durable. Unique and reasonable rates: The magnetic signs are printed on high-quality magnets are unique to your business and cost less. Instead of conventional advertising that costs dearly, magnetic signs are quite economical outdoor means. They are inexpensive and very effective in getting desired results. It enables to advertise everywhere the vehicle goes and you have the freedom to remove it when you do not want it. Our Printed Magnets usually ships 2 business days after artwork approval, there is always a chance to ship even earlier depending on our workflow on that day if you need it sooner contact us to see availability and how we can help you get your stuff on time within your deadline. Q. Can I order a custom size magnet for my truck? A. Yes, we do custom large size magnetic signs for vehicles please request a custom quote with the size of the magnet sign and we will send you a quote.